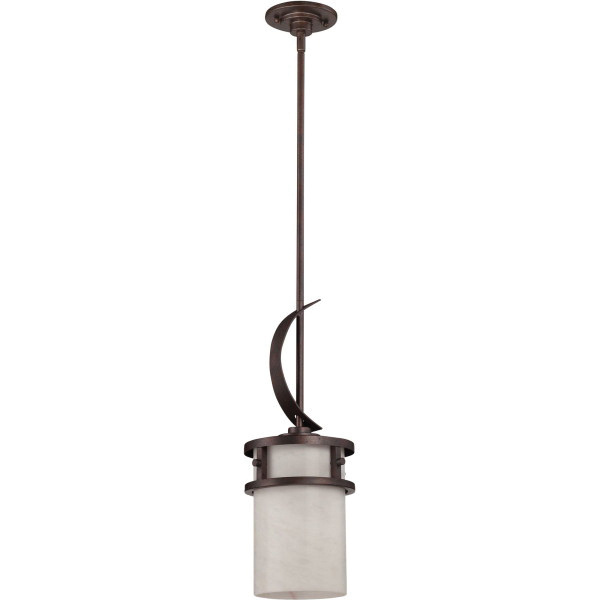 Quoizel Lighting Kyle Collection Mini pendant fixture in iron gate finish, has steel construction for added strength and durability. It has a white onyx shade. It can accommodate one 100-Watt incandescent lamp. The medium socket fixture measures 8-Inch x 8-Inch x 20-Inch. It has a voltage rating of 120-Volts AC. It is suitable for use in damp locations.